Psychic phenomena has its place in your spiritual growth. Just be aware that, in and of itself, the phenomena will not bring you happiness or peace and it will never truly lead you to God. Beyond the lower planes of the physical, astral, causal, mental and etheric are the 'God Planes' where the only 'thing' that is real, and permanent, is Love. Angels are messengers. The most important message they bring to humanity is one of total love and acceptance. Developing a greater ability to give and receive love will bring you closer to God. Watch Ancient Aliens: the Series, on the History Channel for the segments with Sherry and Synergy! Angels are dynamic Beings who are here to help us! All we have to do to receive their assistance is ask sincerely. As much as we might wish it to be different, this earth plane is NOT a thought- manifest place. It is thought-action-manifest. What does this mean? Well, we don't think our paychecks into the bank! We all have to do something to get something. It is a similar principle when you work with angels. If you just sit there and ask the angels for help, and don't do anything for yourself, you probably won't get a whole lot out of the experience. To gain the most benefit from angelic assistance, there are times when you also must be willing to take some action, when guided to do so. This doesn't have to be some big dramatic event. A small gesture to show sincerity and a willingness to do your part, is enough. It shows your intent is to make a change. As my guardian angel, Joe has explained to me: "It's easier to guide someone in a specific direction that's already moving than to get them going from a dead stop." In 1990, with the help of my Guardian Angel, who I call Joe, and several other Angelic Beings, I developed a kind of card game, which makes it easy for a person to begin the process of identifying their issues, and asking for help from the angels to transcend, or move beyond them. The cards use the same techniques that Joe has taught me to use to work through my own issues. These cards came about as an answer to my plea to Joe and the other angels for assistance. I was doing workshops, and had two friends who were very different types of people, with very different issues, but who were both in emotional pain and trying to work through things from their childhood. I asked Joe if there was some simple way to help them. As it evolved, I formulated my request more specifically. I wanted something that would work for virtually anyone, and didn't rely on memorization skills or reading a lengthy instruction book. I wanted something whose only requirement was a sincere desire for change and a request for angelic assistance to make it work. The Angels in Action cards were the answer to my question. A person can choose the cards at random, or look through the "issues" and pick out ones that they are trying to work through right then. The process does not require a complex instruction manual, memorization, or a teacher to start using. They are self-explanatory. 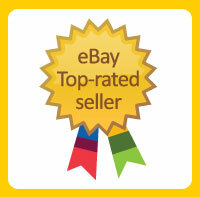 I have distributed thousands of the decks over the last decade and they really work! A demo of how the cards work is included in the Angel Video. YOUR INTENT IS EVERYTHING. All the cards require is a sincere desire for change and angelic assistance! IF your intent is clear and sincere, the cards will work for you! Ask for protection from any stray entities as you do this work. This is a routine precaution. Sincerely ask for help and Guidance in working with these Issues and releasing them to the Universe, allowing yourself to be freed and empowered in the process. Call for all of the Angels and Masters to come and help you with the Issues. Agree to accept whatever help you receive, whatever answer you receive, setting aside your ego, judgments and expectations. There are four parts to this process. 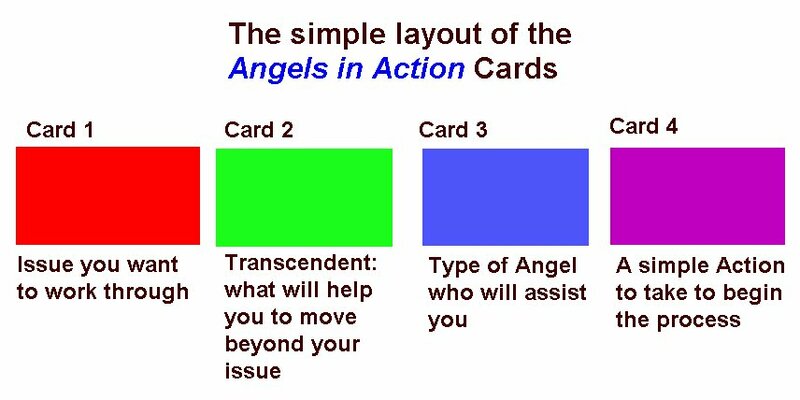 Separate the cards into the four groups: Issues, Transcendents, Angels and Actions. Shuffle each of the sets of cards. Pick up the Issue cards and set the others aside for now. There are two ways to begin. You can look through the Issue cards and pick out one that you feel you would like to work with OR you can randomly choose a card, without looking. The dictionary meaning of an Issue is "the ultimate result, event or consequence of a preceding affair or a point in question." It can also mean "to send out, discharge or emit". So it seems quite natural to call these cards the Issues. Our intent is to discharge, or literally neutralize the emotional and psychic charge surrounding an Issue and then to transcend or move beyond it. The Issues we have are the ultimate result of patterns of thoughts, feelings and behaviors that reach back into our past - our childhood and possibly into other lives. Lay out the Issue card, face up. Then, pick up the next set of Cards, the Transcendents. The word transcend means "to go beyond the ordinary limits, normal experiences or beliefs". That is the intent with this step. Ask now for the emotions that will come into your heart to help you to transcend the Issues. Whenever we let go of something, it creates a kind of vacuum. Let's fill this emotional and spiritual vacuum with something that you will find more useful and beneficial. Without looking, pick one of the Transcendents. Lay it out next to your issue card. Now, take another look at your Issue. Take a moment to try and "get into" the feeling as fully as you can. (The length of time you spend on this step will vary.) What was the last time you felt this way? Where were you? Who were you with? What were you doing? etc. Now, take a deep breath and see yourself drawing your Issue fully into you. Embrace the feeling, accepting that this is how you feel right now, and let go of judgments you have about yourself. When you are finished, see the issue flowing out your spine, and down your Grounding cord, into the Earth. Let the Earth neutralize the "charge on the energy." As you see the Issue leave you, take another deep breath and breath in the Transcendent feeling, letting it move into you. replacing the old Issue, and helping move you into a new reality. "Where do I want to be when I feel this?" "Who will I be with when I have this feeling?" After you are finished with this exercise, you may pick an Angel card. (again, without looking.) This is the angel who will help you in this process. Invite this Angel into your life, now. Ask for it's help in whatever way is appropriate and correct. This being will be with you while you work with your Issues. Finally, to actualize your intent, pick an Action card, (without looking). It is a necessary part of using these cards to be willing to take the action described on the last card, as a symbol of your intent to transcend and transform your Issues. They are simple acts, that anyone can do, like giving someone a hug. As simple as they are, you will find them to be very effective. Finally, don't forget to thank our helpers for their consideration! You may find it helpful write down your cards and note the way that you felt, and what taking the Actions did for you. How did you feel as you called the Angels into your life? When you get familiar with the cards and more confident, you can stream line the process and go through it very quickly. You'll be surprised at how well this works. Many people have shared the cards with their friends. This is just the beginning -- HAVE FUN! Each deck is just $12.00 plus shipping. Just be aware that, in and of itself, phenomena will not bring you happiness or peace and will never lead you to God. Where the only 'thing' that is real, and permanent, is Love. **If you email me and do not get a reply, please try again. I answer all emails myself, but due to the volume I now get, I am often very behind. email me again if you don't get a response within 2 weeks - and please, check your spam folder for replies! PLEASE do not email me and ask questions that are really asking for a reading without actually asking for one. I have had over 140,000 emails in the last few months asking me that sort of thing. It's not about offering me more money so then I'll change my mind... It's only about me following my heart and my Guidance.